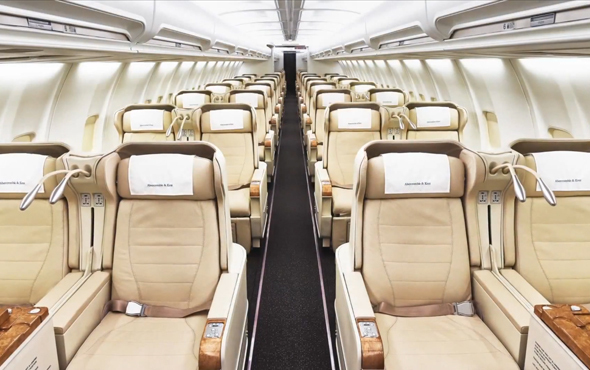 Flying by private jet elevates your journey to an entirely new level of luxury, convenience and flexibility. Touch down in exotic destinations not easily accessible via major carriers, bypass long lines, and come and go on a timetable based on your itinerary. It’s air travel as it was always meant to be. Save time and hassles with White Glove Visa and Passport Handling, a newly added concierge service that expedites your visa and passport applications. And now, while in flight on A&K’s Private Jet, rest easy knowing an physician is ready to assist with any medical issue. Thanks to our unmatched network of over 55 offices – as well as an intimate group size of just 50 guests – your Private Jet Journey includes the kind of exclusive, invitation-only events that are A&K’s hallmark. Wherever you go, experience the authentic flavor or life as it is really lived. Private Jet Journeys feature properties chosen by our experts for their authentic reflection of each destination’s style and spirit. Your meals are more than just a chance to dine at the end of the day – they are a complete feast for the senses, with local entertainment and stunning natural backdrops. It’s impossible to pick a favorite experience — there is not enough space to write that novel. I loved everything! I was thrilled by the whole experience and loved it all! The staff was the best — could not want for more care, concern, humor, knowledge and fun. The private jet was a wonderful experience: comfortable, good food and the best flight attendants I have ever had. The A&K team far exceeded our expectations. I would have kept going for another month with this team and this group. “A trip of a lifetime” doesn’t begin to explain the experience. We felt like dignitaries flying around the world being celebrated with a “parade” at each destination arrival.